It would take some really big news to eclipse the release of the final report by Australian air safety investigators into what happened to Qantas Flight 32, an event on the world's newest and largest airliner that came thisclose to disaster. The Australian prime minister might have to be ousted, for example. Or an American might have to spill state secrets and become an international fugitive. Whoops, those are the stories on the front page today relegating everything else -including the just-released findings of the Australian Transportation Safety Board - to the inside pages. No worries. Here, in brief are some of the highlights from the 300 page report. First a quick recap: You may remember that Qantas Flight 32 with 422 people on board, departed from Singapore's Changi Airport on November 4, 2010. An uncontained engine failure at 7,000 feet on ascent sent debris flying and created all kinds of chaos on nearly all of the plane's systems. For a fuller account, see some of my previous posts here, here and here or purchase a copy of Richard DeCrespigny's excellent book, QF32. 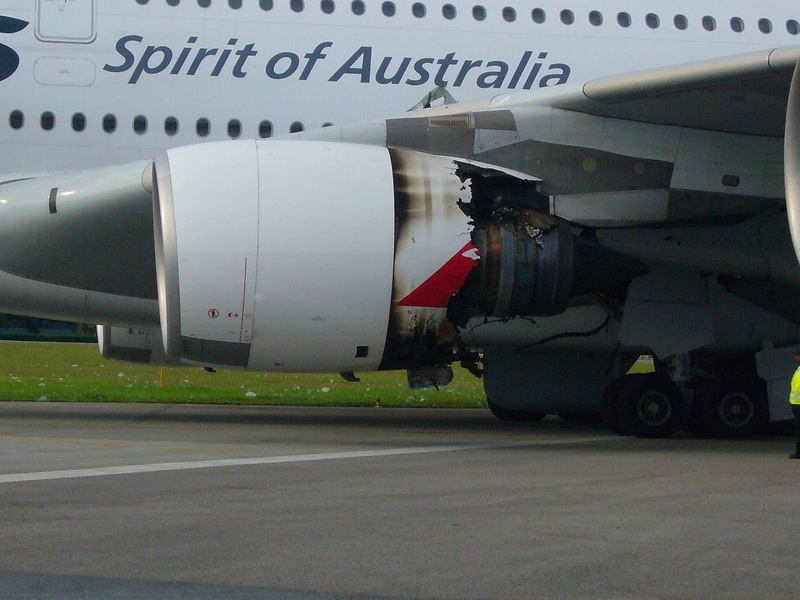 Broadly speaking the ATSB separated its review into three categories; The failed Rolls-Royce Trent 900 engines powering the airplane, the effects of the engine failure on the systems and performance of the airplane and the challenges faced by the crew. I'm not saying that the engine is not a highly-complicated component. Tens of thousands of parts go into each one along with considerable hours of engineering, design and manufacturing brainpower. Still, reading the report, one gets the impression that finding the error that led to the Qantas turbine overheating and flying apart was the easiest part of the investigation. "The crack in the oil feed pipe was a result of fatigue and had developed over some time," the ATSB report says. 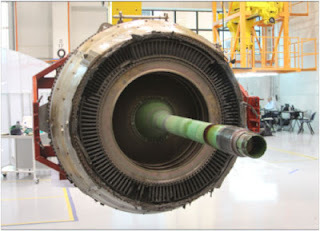 When the crack grew large enough, oil in the pipe was "released into the buffer space between the bearing chamber and the hot air surrounding the IP turbine disc. The oil was released as an atomised spray and the air within the buffer space was sufficiently hot for the oil to auto-ignite." With that information the investigators worked upwards, trying to discover how the crack could have developed in the first place, and not just as a one-off on the incident airplane but potentially on others as well, as a result of repeated manufacturing inconsistencies not reported to quality control at the engine maker. "A culture existed within the manufacturer’s facility," the report says, "where it was considered acceptable to not report what were considered to be ‘minor’ non-conformances." In a statement as the report was released, Colin Smith, Rolls-Royce's director of engineering and technology acknowledged where the company had gone wrong. "This was a serious and rare event which we very much regret." The company has already instituted the changes detailed by the safety board investigators. Well, I should say so. It is not a pretty picture that is painted of one of the most storied engine manufacturers in the world, but in its review, the ATSB does seem to bring the engine investigation to a close. This is not the case with other aspects of the harrowing flight. When the engine burst, the entire circumference of the engine case was ruptured. 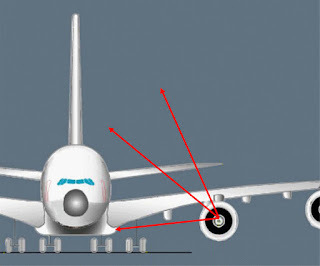 Parts penetrated the belly of the aircraft, the left wing leading edge and front spar. Damage included a loss of engine control, fuel transfer, some hydraulics and engine fire protection. There was a real risk that a fuel leak and fire in the left wing could have escalated. This is only a partial list of the mayhem that day. 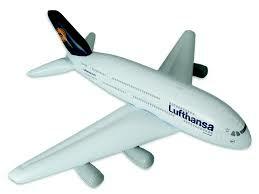 But it raises the question of the plane's vulnerability. In its report, the investigators do not make any conclusions about whether the plane should have/could have performed better. The damage on the plane exceeded any prior expectation or safety analysis, the investigators write, "and therefore represents an opportunity to incorporate any lessons learned into the advisory material." 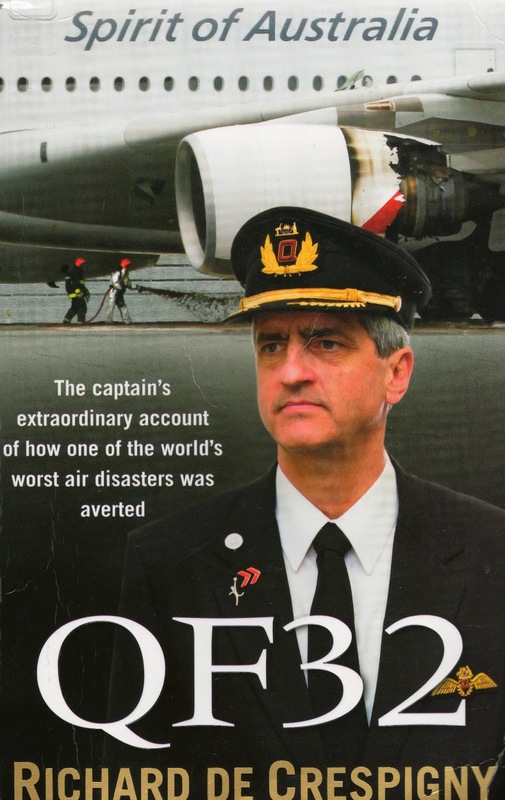 In his book, Captain Richard De Crespigny keeps readers riveted as he describes the work load on the flight deck that day as error messages and checklists churned out from the flight management system. When I met with him in Singapore six months after the event he described the relentless arrival of information by saying messages and checklists were coming out "like dinner plates at a buffet." Despite its size and passenger load, the report reminds readers pro-forma that the Airbus A380, super jumbo is certified for two pilots. 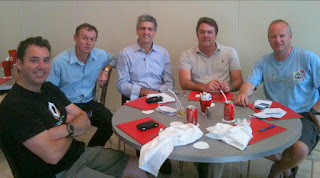 It is notable then that on Qantas Flight 32 there were five men in the cockpit who together had more than 76,000 hours of flying experience. Whether that flight would have had its happy outcome with fewer people working on the problem is unknowable though concluding that landing this horribly crippled flight could be duplicated with fewer pilots seems a stretch. The ATSB spent two and a half years examining Qantas Flight 32. But its report is disappointing in that it has not resolved these important questions about durability of the plane or the ability of a two-person crew to successfully fly it in similar circumstances. Is QF 32 an "opportunity" to incorporate lessons learned? No. It is more than that. It is a mandate that safety officials keep on learning from this near-disaster. Great article on this and drawing attention to the ATSB and the report quality is an essential part of this process. ATSB certainly have not learnt from the PelAir debacle, yet the current report on Hemple and the coroner report on the YAK 52 makes an interesting comparison, with the ATSB now saying it will investigate all fatalities on VH regictered aircraqft in Australia. Seems to be a response to the 170 - odd page senate report!! As an engineer with a passion for aircraft - I take a different view on that expressed by the author - I think that the report vindicates the inherent safety of quad engined planes over twins. The kind of explosion that occurred married to the fact that the jet (with 2/3 fuel load) did actually land safely. It speaks about a good design and great redundancy. If a similar event occurred on a large twin - I suspect that the outcome could have been very different.